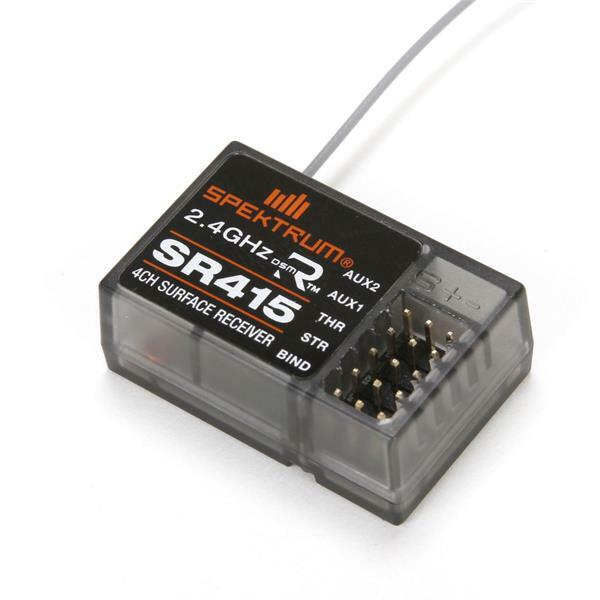 Bashers, boaters, rock crawlers—the SR415 recerver is ideal for anyone wanting a sport receiver that can handle the worst nature and the RF environment can throw at it. It's built around frequency-agile DSM technology that delivers superb range and response, especially in places where a lot of 2.4GHz systems are in use at once. This unbeatable signal security is complemented by a fuel-proof case and a waterproof Reliakote coating that seals internal electronics from the elements and other corrosives like nitro methane and motor spray.